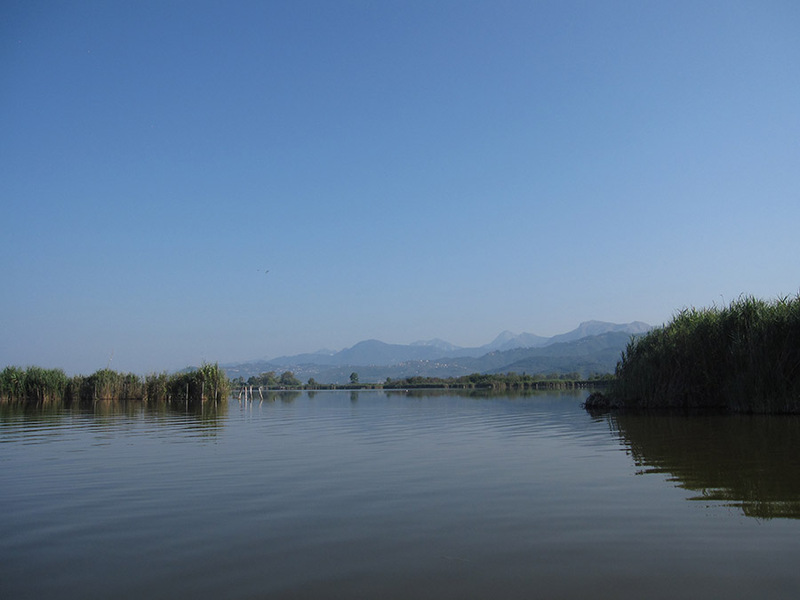 Only twenty minutes by car far from Borgo4case there is the biggest lake of Tuscany, the Puccini lake in Massaciuccoli. 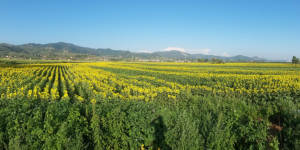 A pearl of biodiversity set between the Tirreno sea and the hills of Massarosa. From a couple of weeks we subscribed Workaway, and we already had our first volunteer with us, her name is Janneke and she comes from The Netherlands. I really like to spend my work time with somebody, it’s a good way to practice my english and have a cultural exchange. Janneke helped me and Walter in the garden, in the forest to take wood for the stove, beaking bread and cookies and more. 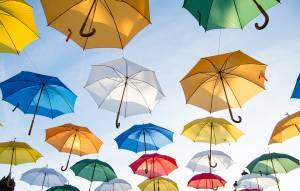 But workaway is not only work, it should also be an occasion for travelers to visit unknown places. 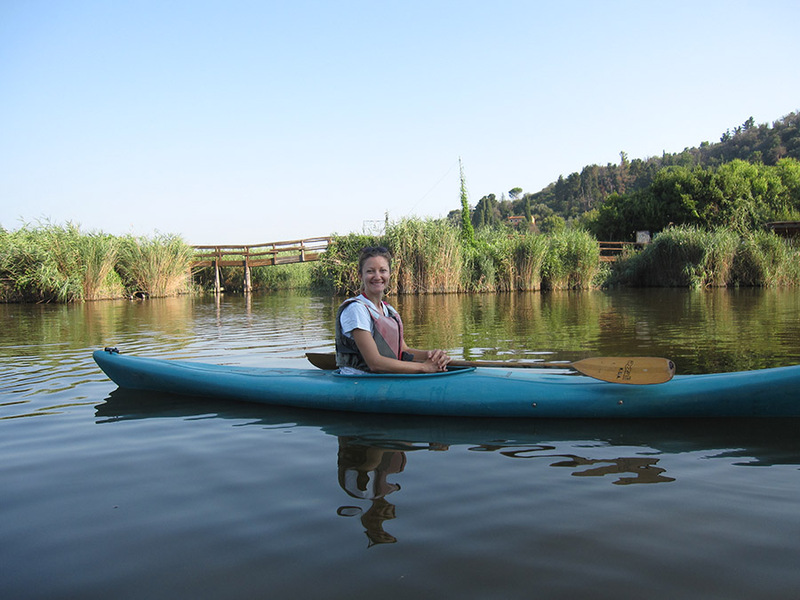 I had the opportunity to bring Janneke to visit the Lake of Massaciuccoli by kayak and we spent a different and lovely morning with our lovely guests Wim, Wibka and their kids. In this post I tell you how to reach the lake and visit it by kayak, and then some suggestion about other places to visit around. We left Borgo4case around 7.30 a.m. to reach the L.I.P.U. oasis at the lake of Massaciuccoli at 8.00 a.m. and take the kayak. 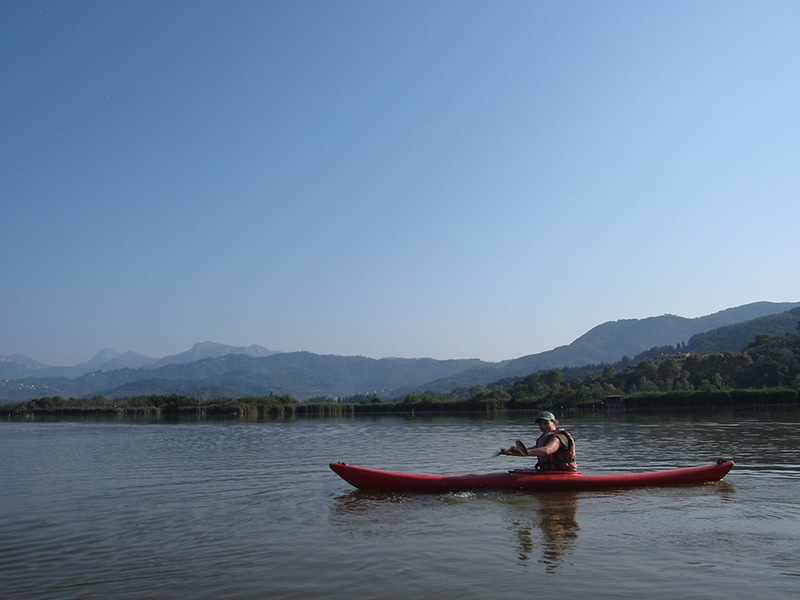 In August I suggest you to leave even before, to enjoy better the kayak tour in the cool hours. When we arrived there was, Lorenzo, our guide to wait us to start the 8km tour by kayak. After few minutes paddling the kayak we reached the Lake. From this point of view we had a 360° view on the landscape. The Apuan Alps on one side and the city of Torre del Lago in the other side of the lake. The lake reflects the colours of the sky and creates a suggestive atmosphere. Nobody was there with us, no boats, it was very peacefull and calm. Not a noise, only the breeze that moved a bit the reed plants around us. The lake is one of this special place that worth to visit out of the touristic citeseeing. While we were going throught the canal some birds run away disturbed by our voices and noises. There are a lot of types of birds that can live happy in the lake of Massaciuccoli, because it is part of the Natural Park of Migliarino, San Rossore, so they are safe and protected. It’s very easy to find a lot of little palafitte buildings called “Bilancini”. Some of this are abbandoned and others are still used and decorated with fun styles. Theese little houses were built in the past from local people for fishing, nowadays if you are luky you can meet somebody very kind that show you how they works. This houses have big flat nets that go in the water and a engine pull them out full of fish. If you are passioned of nature and photography you must go on the lake. Very early in the morning you can meet special type of birds. If you don’t like the kayak you can visit the marshes walking on the palafitte paths that goes from LIPU till La Brilla. There are also some spots where you can sit and take pictures. Some people use to call the Lake of Massaciuccoli, Puccini’s Lake. The great opera composer infact was very appasioned by the lake of Massaciuccoli, of its landscape and its environment. He liked to go fishing and hunting there. 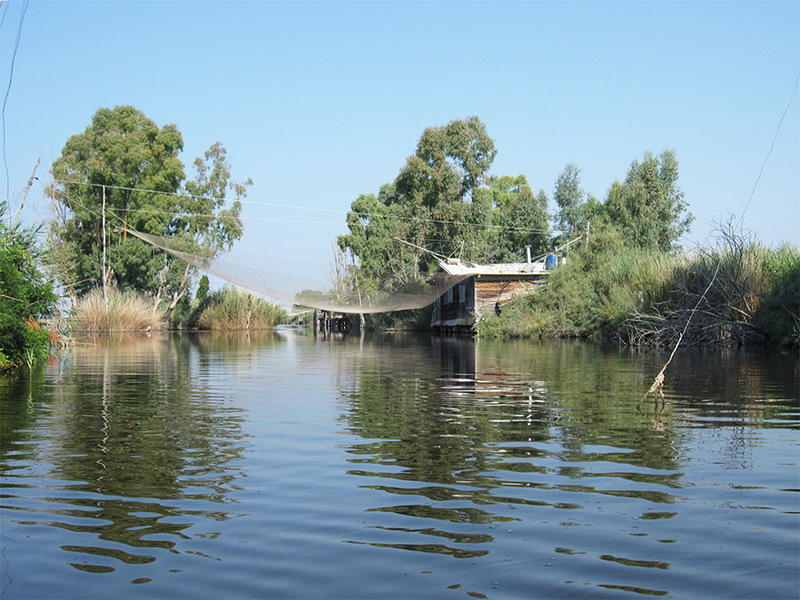 His house was very close to the Lake on the Torre del Lago side. Today it is possible to visit the house museum of Puccini. In August visit it in the early morning, start at 8 a.m. or after 18 p.m.
At the end of the visit if you are not too tired you can also go to visit the Archeological Museum of Massaciuccoli with the very beautifull Villa Venulei. This was an ancient roman villa that raised on a thermal water spring. Today you can visit the museum or going direclty to visit the Villa walking in the olive grove on the stair that bring to the church. When you reach the top you can still see the walls of this beautiful Villa and the structure of the building. It has frigidariu, tiepidarium and caldarium rooms still visible that once upon a time were used for spa treatments. The panorama from the top is breathtaking from the lake till the sea side. If you like to visit the lake read also this post that Lucio wrote about a bike tour from Borgo4case to Massaciuccoli with wine tasting stop. P.S. the pictures are from Janneke. Other beautiful pictures from Wim_pics on his Instagram profile. 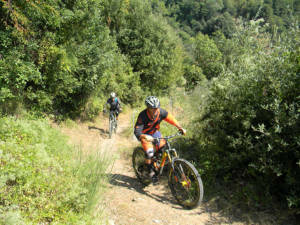 This entry was posted in Activity, Blog and tagged lake, things to do, tour, Versilia. Bookmark the permalink.